Many Wingnuts have noticed some cool easter eggs in the latest promotional video from Roberts Space Industries. 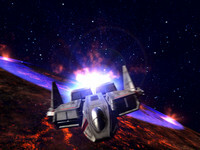 The "Origin Jumpworks" 300 Series commercial features a fighter jet zooming over a landscape that appears strikingly similar to the Vespus scene in the Wing Commander 3 intro. 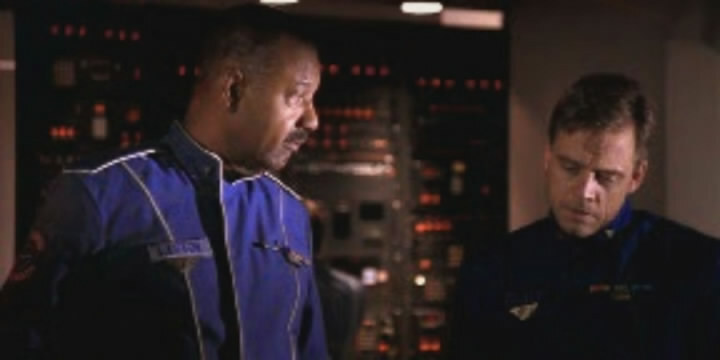 There's also a screen in the ship's cabin that displays a classic Wing Commander briefing nav map. You can check out the full video here. 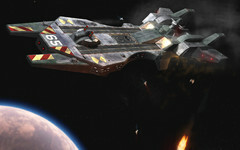 After Cloud Imperium's recent 24-hour telethon and website relaunch, their crowdfunding tally stands at $11.9 million. This puts the team a million and a half dollars past the Pebble Smartwatch, which previously held the record for most successful pledge campaign. Chris Roberts has made the rounds again and says he can fully design a digital spaceraft for between $35,000 and $150,000 real world dollars! 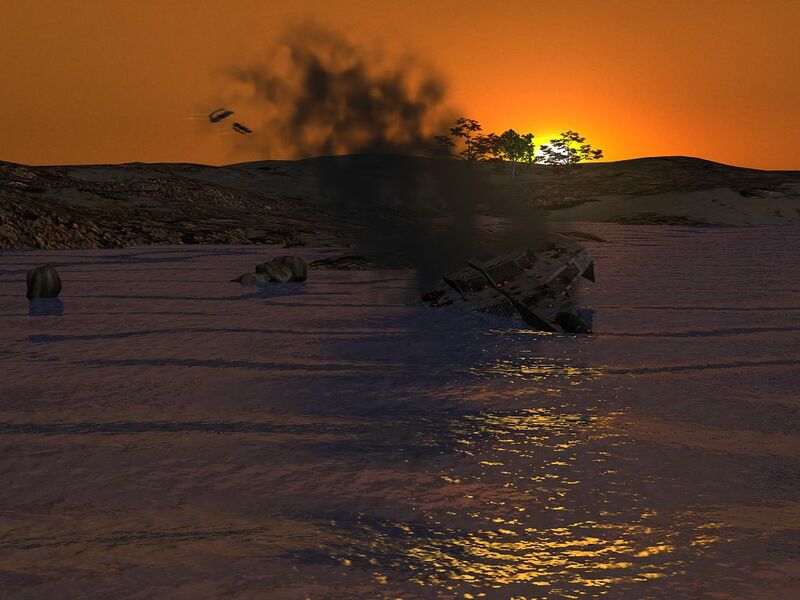 Most all Wing Commander fans are very familiar with the submerged Concordia scene that kicks off "The Heart of the Tiger." But have you seen the pre-release screenshot? Archive material that we've collected includes this intriguing image dated July 6, 1994. Compared to the final footage in the game, the image is sharp and in high resolution. It includes Arrows instead of Hellcats, the rocks are slightly different and the characters' shadows have not been inserted. It's not uncommon for ships that are planned for a scene to change before the final cut, but we don't often get to visually compare them! Whiplash has made progress on a couple more aspects of his handmade Hellcat model. The canopy window has been fitted and locked down now. 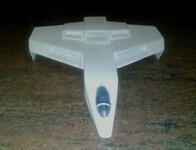 It's made out of a semi-transparent piece so you can see the outline of a seat and instrument panels within. The rest of the bird also has a good primer coat in these latest shots, which will soon be sanded and smoothed in preparation for the actual exterior painting. Wingnuts keep on proving how crafty they are - if you've got a WC project in work, let us know! Canopy's been fitted! A bit of detail finishing required but I think it came out pretty well. 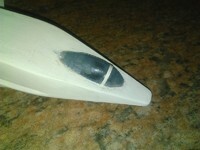 As I mentioned last time, the whole model has now been painted with a layer of sanding sealer. This provides a nice even finish and seals the wood so that it doesn't soak up the paint. 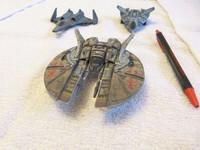 I will now sand the entire ship to as even a finish as possible, then apply another coat and repeat the process. Then it should be ready for the final coat of paint. Good Old Games is running another megasale that drops the price of Wing Commander games down to unbelievably low prices. The four WC packages (WC1/2, WC3, WC4 and Privateer) are just $2.99 each through July 5. WC1/2 and Privateer come with all five expansion packs, WC3 includes an ebook of the Fleet Action novel and WC4 is the fabulous DVD edition! There are many other associated extras packed in as well. 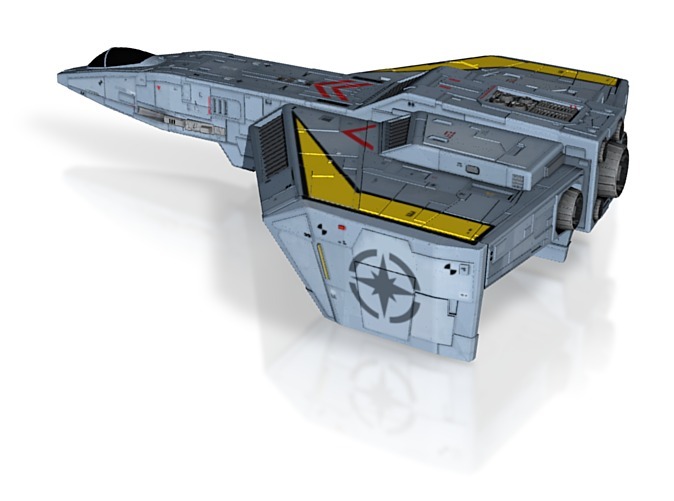 Hundreds of other titles are part of the sale, and this marks the first time that Strike Commander has been marked down. There are also special 75% off bundles available each day on a rotating basis. 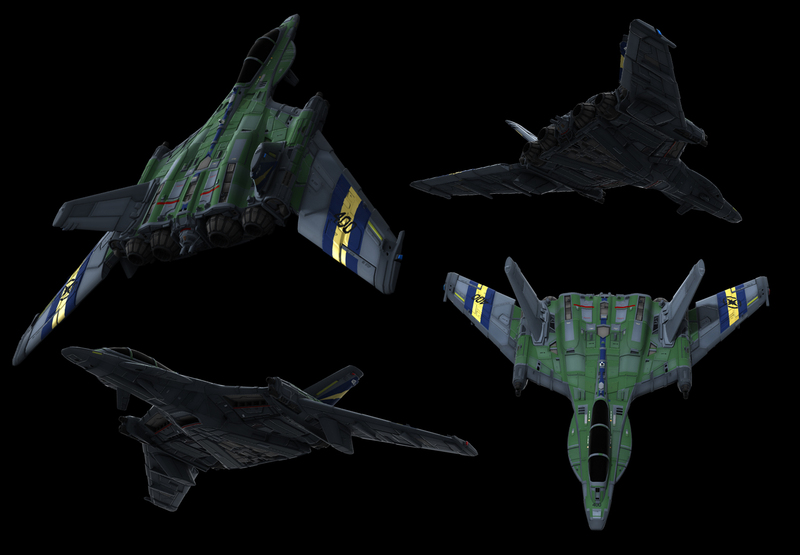 If you decide to wait for a possible Wing Commander bundle, be sure to complete your collection by next Friday! The sun is shining, the weather is sweet, let's begin GOG's amazing humongous 2013 #NoDRM Summer Sale. Most of the games in our DRM-free catalog (that's 500+ titles!) are available half-price until July the 5th. You can also expect special Daily Deals, allowing you to grab bundles of games (or in some cases individual titles) up to 85% off! We have a lot of exciting deals in store for you, so remember to check our site frequently. 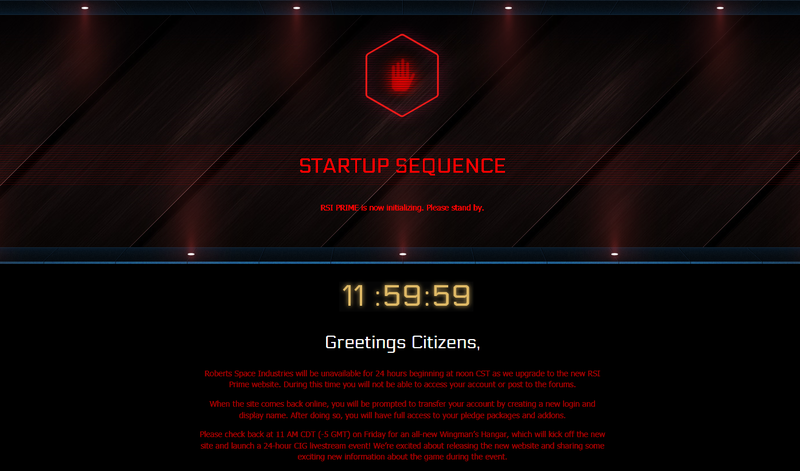 Roberts Space Industries is launching an entirely new website this Friday, and they're making a big event of it. They've taken a cue from other major website launches and placed a countdown timer that's ticking towards 11 AM Central US time on June 28. A new episode of Wingman's Hangar will kick off an exciting 24-hour livestream. Their last such event was a telethon that concluded the successful crowdfunding campaign, and it was very entertaining! The staff at Cloud Imperium Games managed to come up with a nonstop stream of former Origin employees to retell stories of their experience in the game industry. We don't expect the sequel to disappoint! Check it out Friday (and all night into Saturday) here. Roberts Space Industries will be unavailable for 24 hours beginning at noon CST as we upgrade to the new RSI Prime website. During this time you will not be able to access your account or post to the forums. When the site comes back online, you will be prompted to transfer your account by creating a new login and display name. After doing so, you will have full access to your pledge packages and addons. Please check back at 11 AM CDT (-5 GMT) on Friday for an all-new Wingman’s Hangar, which will kick off the new site and launch a 24-hour CIG livestream event! We’re excited about releasing the new website and sharing some exciting new information about the game during the event. 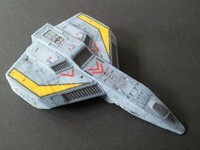 Silent Hunter reports that the Wing Commander: From the Ashes forum-based RPG continues to seek out new players. 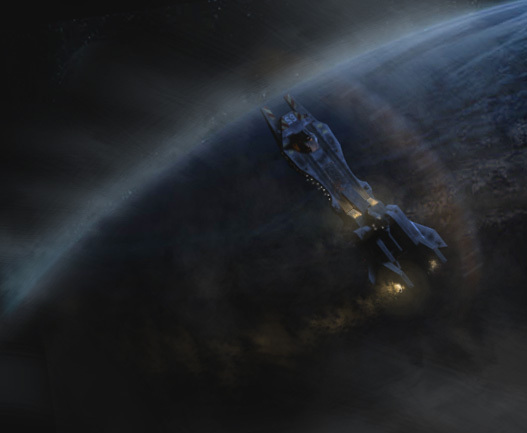 The crew of the TCS Phoenix is still out there in the lawless regions of Gemini Sector, and you can join them t their forums! 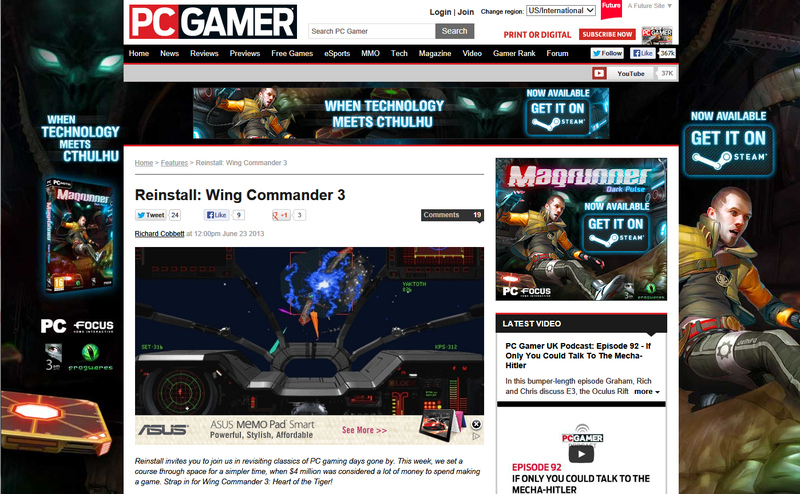 PC Gamer's latest retro gaming article goes back and remembers Wing Commander 3. The piece is penned by Richard Cobbett, who's written at length about the series over the years. Similar to an FMV analysis he posted back in 2010, Mr. Cobbett reiterates that Wing Commander was one of the few gems of the 'interactive movie' era that really shined and continues to hold up well even today. He's less enthused with how the gameplay fares today, but whenever I fire up The Heart of the Tiger, I'm still tickled that the mission doesn't take 12 minutes to load! Check out the full article here. Thanks to Jake for spotting this one. My only question is... can I get Magrunner on Steam? 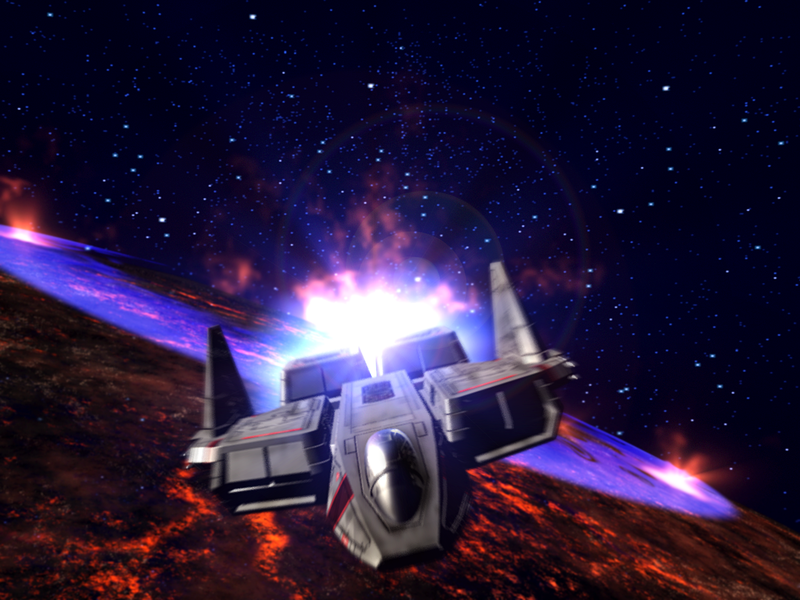 Wing Commander 3 is one of the very, very few examples where it worked. The series had always had a cinematic flair, with a huge cast of characters, animated sequences for everything from taking off from your fleet carrier to being awarded a medal of bravery for surviving ejecting into space. 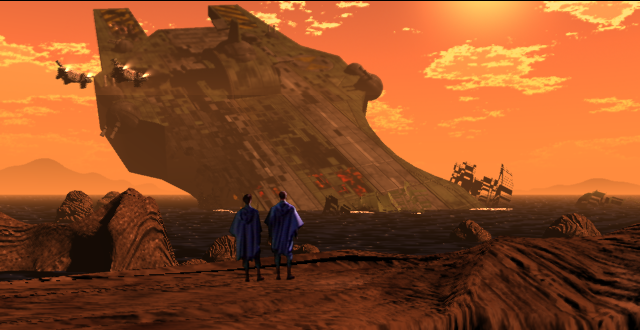 It had a then-insane budget of four million dollars, a cast headed up by Mark “Luke Skywalker” Hamill, an epic branching storyline, and — this definitely helped a little — jaw-dropping space combat. 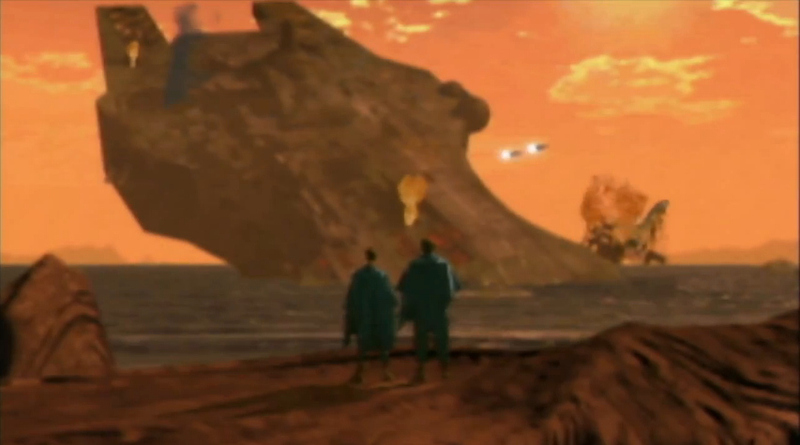 Even now, with the ropey-effects, chunky FMV, and the realization that said combat really hasn’t aged well, Wing Commander 3 holds onto a surprising amount of majesty. The opening chords in the soundtrack are powerful and bombastic. 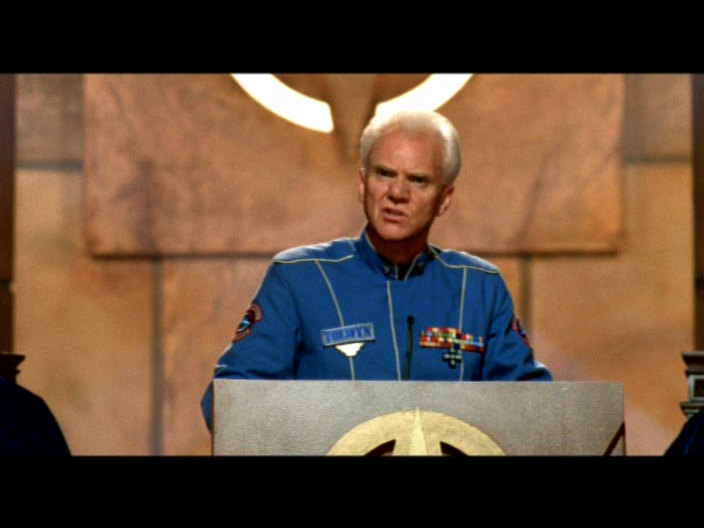 Our first scene is of the triumph of series baddies the Kilrathi, and not merely over a group of nameless mooks, but Angel, both lead character Col. Blair’s lover, and one of the series’ most prominent pilots from the very start. 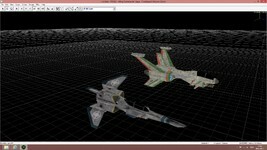 Everything you see is in service of one single statement: Wing Commander 3 means business. 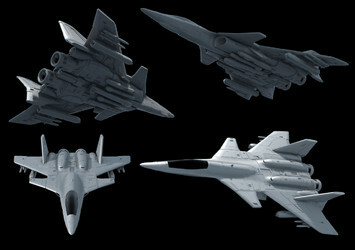 Klavs has another new fighter on deck. 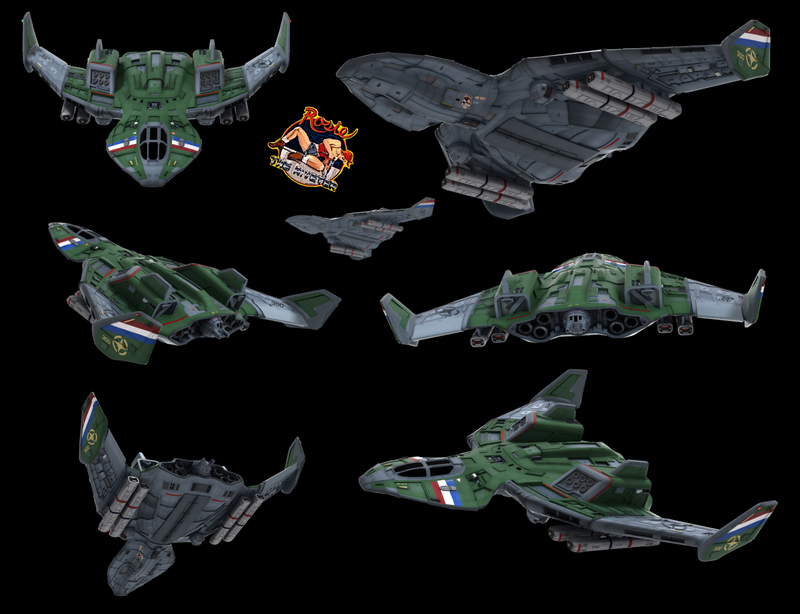 The Rapier from Super Wing Commander joins the fight with a few touches borrowed from the Arena F-44X, but most of the ship's style is borrowed from the Mac/3DO look. It has a solid metallic texture and plenty of decals that keep it in line with the other ships at Terran Fleet Supply. Maniac even has some nice things to say about it below. You can order one now here! I'd never been on a flight deck that quiet. There were little clusters of people here and there. Two, three to a group. 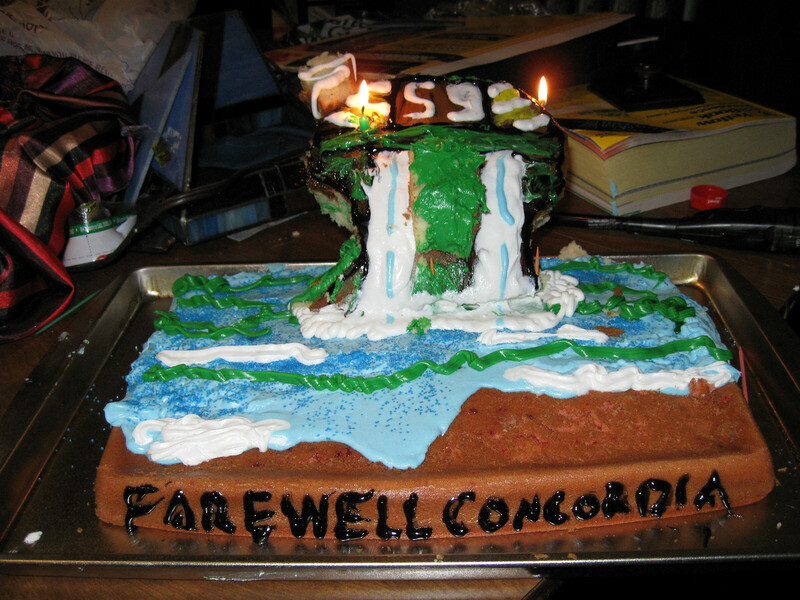 People were saying goodbye, but for some reason it didn't feel sad. It was like the quiet before a wedding, rather than the funeral we all knew it to be. I saw a pilot I didn't know manhandle a tech twice her size against a Rapier and kiss the hell out of him. I saw Chris and Jeanette just smiling at each other. 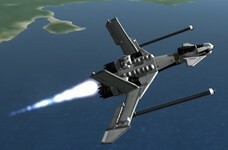 I saw Kevin Tolwyn calmly preflighting his ship for the fifth time. I saw Davis, one of the kids plucked right out of basic flight, savoring a carrot with a huge grin on his face. Three Zero Two surely didn't look unique, just your average, slate grey F-44G. Reasonably clean, well maintained, a hull patch here, a scratch or a greasy footprint there. No kill markings, no shark's mouth, no flamboyant paint scheme. Not even a name on the canopy rail. I know people thought I was stupid for kissing my ship before every mission. People thought I was stupid for a lot of reasons. But that ship- when I kissed her, I swear she kissed back. Three Zero Two was something special. 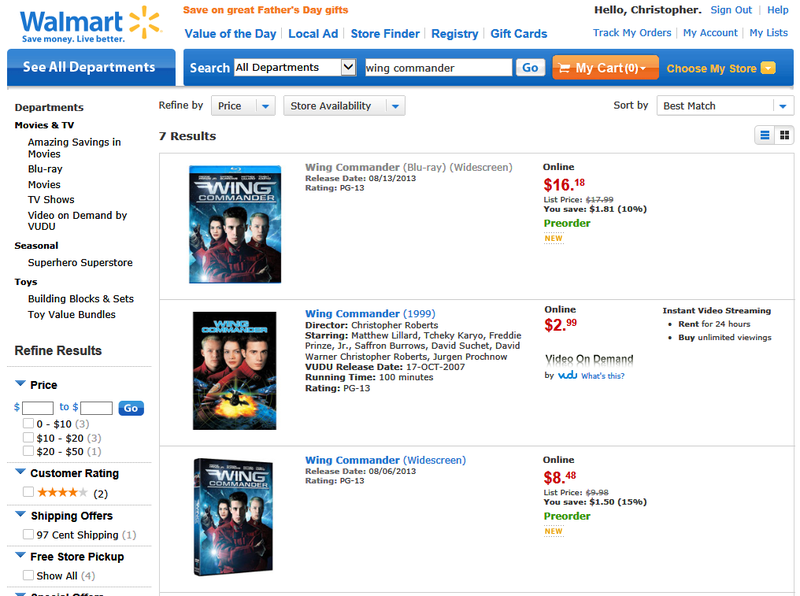 The Wing Commander Blu-ray's reach continues to grow as more retailers add it to their listings. Target is the newest major store to add the film, and it's just $13.39 before 5% red card discount. Amazon.ca in Canada has also added a specific listing for the movie at $16.99. This means Canadians buyers can get the disc in a more timely manner than importing from the US. The American Amazon price has also been dropped back down to $12.99, so now's the time to preorder your copy! Wing Commander on Blu-ray ships (or arrives if you order from Amazon) on August 6! Pheeph over at the KSP message boards has worked hard to incorporate Wing Commander ships into Kerbal Space Program... KSP is a game where you have to design rockets to get your Kerbals safely into space and onto other planets. Check out their designs here. Head there to download them for yourself! 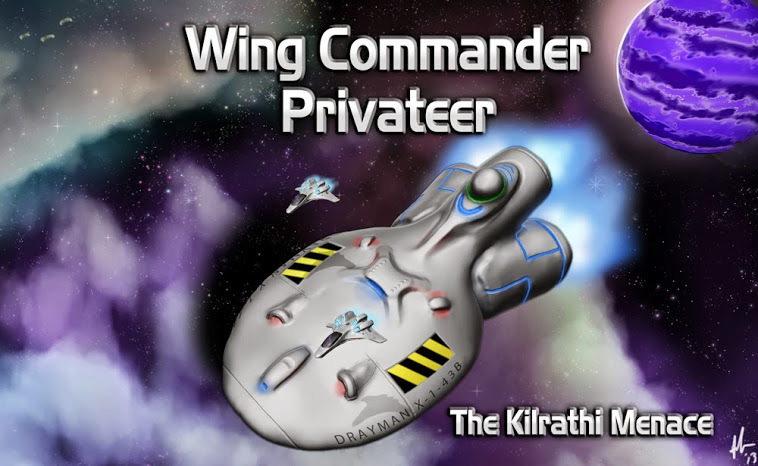 Like the recent rock mix of the original Wing Commander theme, Cerberus Music, AKA Steven Angelakis has put together an interesting take on the Kilrathi theme from Wing Commander 2. The piece is a fun blending of early Atari-type sounds with the more modern dubstep flare. Check it out on his SoundCloud page here or listen to it in the embedded player. jbirdjavi caught a cool video that's today's highlight at onecoolthingaday.com. It's a nostalgia reel about the year 1990. 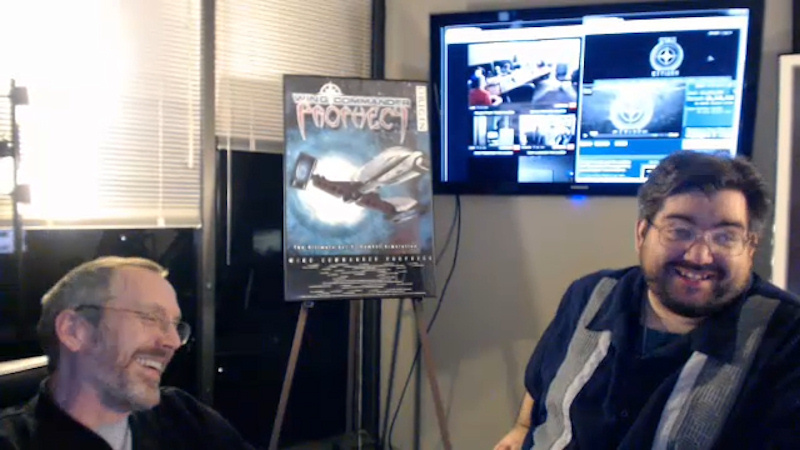 About a minute into the clip, Wing Commander makes an appearance! The release of the first WC game was certainly one of the biggest things that happened to the world that year, so the retrospective wouldn't be complete without it. 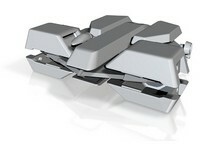 Today's Cool Thing at www.onecoolthingaday.com is a 12 minute video called "Remember 1990". While it has a heavy focus on music and movies/tv, it also includes clips of news events and among other things, video games. At the 1:06 mark, there's a short clip of the original Wing Commander game! Flixist has conducted an interview with veteran actor Malcolm McDowell. The main focus is on his new movie, A Green Story, but the interviewer covers his career as a whole too. Mr. McDowell has a pretty charming answer when asked about his connection to Wing Commander. Check out the full article here. This isn't your only project at the time. In fact you seem to be in everything, always. How do you survive such a crowded working schedule? As they say in AA, one day at a time. It’s no good looking too far ahead; you’ll freak out. I just learn what I have to learn, get that right and worry about the other stuff tomorrow. You do a lot of game acting as well and started pretty early before it was even a thing with Wing Commander. What got you into that? I love it because it’s the kids that plays these games pretty much, although not always. I think everyone loves to play them now. The first one I did was called Wing Commander and it was so popular all over the world and I was amazed at the kids that became fans because of it. I always thought it was always good to give the youth something back and I’ve been very aware of that. Are you working on a game now? Yes I am. I’ll tell you what it’s called (pauses to think of the name) The Elder Scrolls: Online. I haven’t done it yet, but I’m starting it in July. It’s just fun. And with such great characters. I did the Presidnet in Killzone. That was very popular too. Then we did the on camera stuff and they shoot you with 360 cameras all over a cage with little dots on. So will you be retiring any time? No. Actors don’t retire. They just fade away. 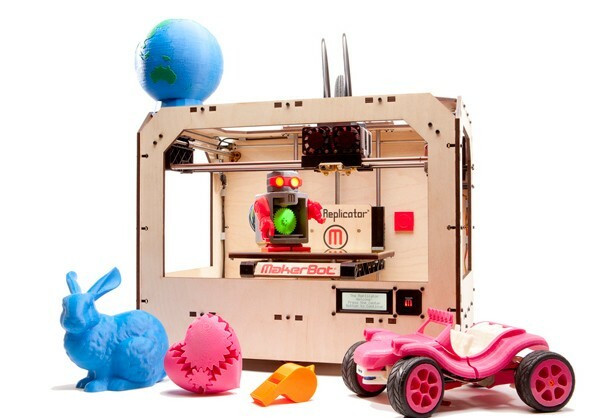 In yet another sign that 3D printing is becoming more and more mainstream, Amazon.com has opened up a dedicated 3d printer store. 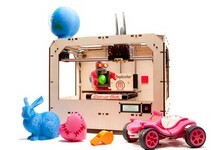 They stock things such as raw filament, CAD software and the replicating devices themselves. Just eighteen months ago, we considered it news that a unit built for home use was available for just $2,000. Now there are a couple dozen different consumer grade printers in stock, and some of the cheaper ones are approaching $1,000. Still, until the prices come down a little more, I'll be picking up my models at Shapeways and shopping Zombie Apocalypse Supplies when I'm at Amazon! Roberts Space Industries has put together another video that profiles the staff of Cloud Imperium Games. Their focus today is Ben Lesnick, Wing Commander fan par excellence and one of CIG's first employees. He's currently RSI community manager and contributes to Star Citizen's game design. VP of Marketing Sandi Gardiner asks several questions on video here, and an expanded interview is available on their website. Check it out and meet Ben Lesnick! Today you’re going to meet one of Cloud Imperium’s first employees, Community Manager Ben Lesnick! You’ve likely seen Ben on the forums or live chat and have read his articles in the Comm-Link and in Jump Point! He’ll appear on Friday’s episode of Wingman’s Hangar, so stay tuned for that interview! You’re looking at it! 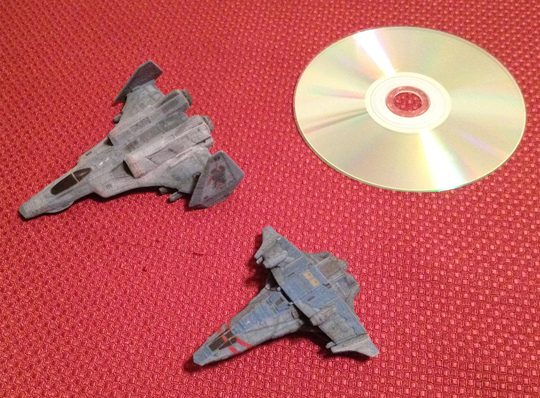 I’ve been a Wing Commander fan since the first game and active online for almost as long. 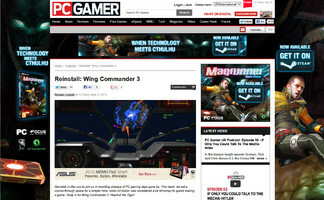 I’ve run the big community site, the Wing Commander Combat Information Center, with a group of friends since 1995. We stayed active after EA lost interest in the franchise, updating every day, cataloging Origin’s history and organizing fan works. 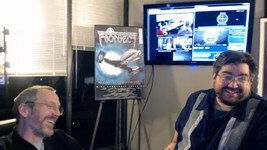 I got to know Chris over the years and he brought me on in the early stages of planning Star Citizen’s campaign. I spent the first two months with another full time job, spending my nights and weekends working on Star Citizen. When the campaign was a success, I moved to Austin to help with the game full time. It has been a big change and a great adventure! Star Citizen is my first full-time industry job, but I’ve helped out with a lot of Wing Commander projects over the years. 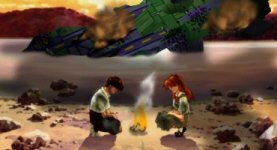 As the point person for the community, I would do continuity editing for tie-in stuff (the novels, promotional material) and things like producing the extras for the GOG releases. Over the years EA would contact me whenever they wanted to relaunch the series and I ended up being involved in the planning stages for a host of projects that never worked out: several iterations of Privateer online, a Gamecube game, a television series, a browser-based Privateer, a re-release with special features on Origin and most recently (and bizarrely) a social media remake of Wing Commander II. They never understood what made Wing Commander great the way Chris Roberts does, which is one of the reasons none of those projects went anywhere while Star Citizen is thriving. 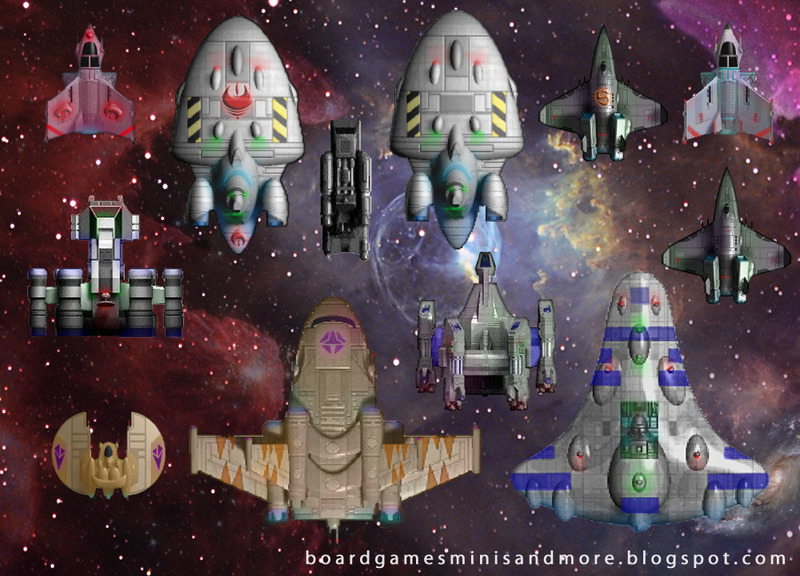 My first experience on a real development team was the Gameboy Advance port of Wing Commander Prophecy in 2002. The team acquired the rights to do the game in a sort of legal loophole and EA had no interest in providing assets… so I volunteered to take apart the original game and explain to the programmers exactly how everything worked. 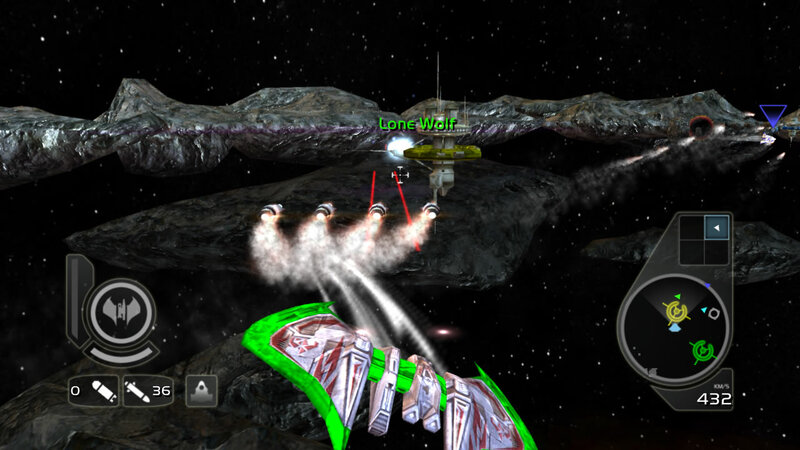 I went on to assist with the design of Wing Commander Arena for Xbox Live Arcade in 2007, although almost everything cool we did on that game ended up on the cutting room floor. 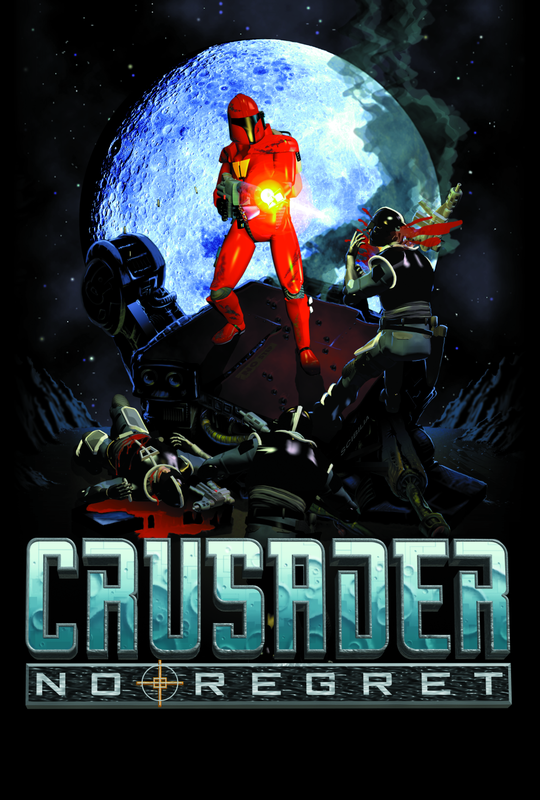 I did finally live my fantasy on that project and did the full-length in-universe Origin-style manual for the game, Star Soldier. 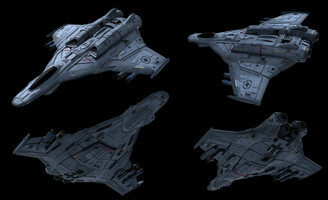 I show up throughout the Wing Commander universe, too! If you have a copy of the original Wing Commander Prophecy, you can find a star system named after me (there are at least two other CIG employees on there!) and I’m a character in one of the movie tie-in novels. 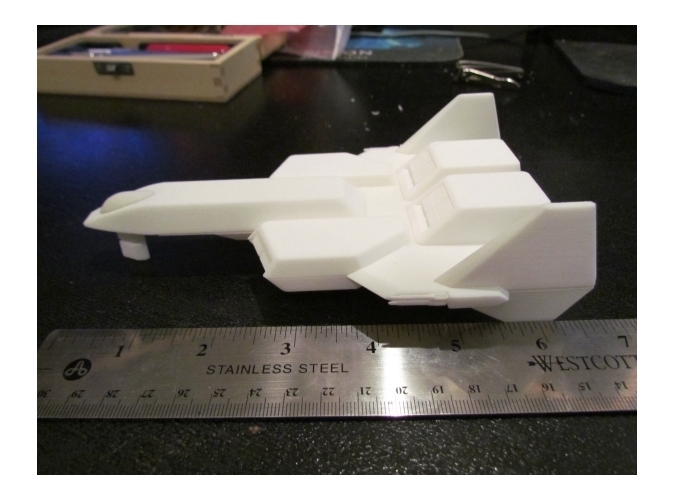 Klavs has posted an interesting cutaway image that shows how he designs his 3D models to be ultra cost efficient when 3D printed at Terran Fleet Supply. He makes no money off all of the fabulous ships he's produced, but he constantly works to optimize his fleet so that more fans can affordably share in the fun. 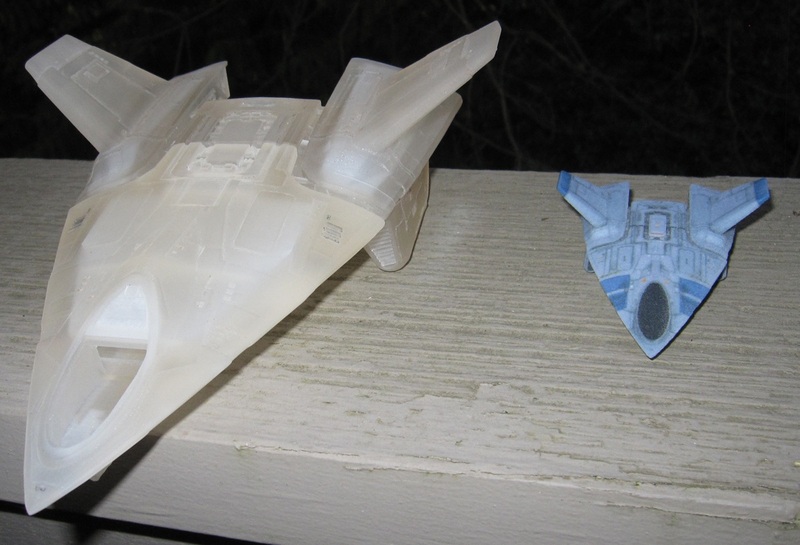 His faithfully recreated Hellcat is just one of about twenty Wing Commander-inspired fighters that he's added to his collection. And that's just counting the modern designs that have come online since detailed color textures became feasible last year! It'll be very interesting to see how this technology continues to mature in the near future. Well the models are pretty hollow as is. Obzoiv! 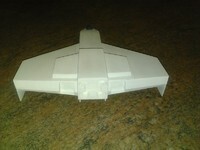 The wings are also a bit hollow, but there still has to be some structure in there to keep the thing from being wimpy. 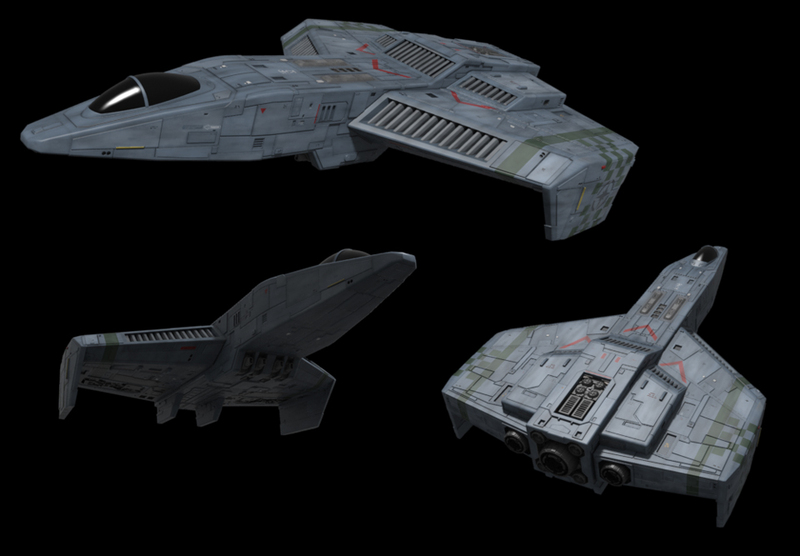 And the goal is, eventually, to get ALL the ships out there Klavsified and ready for printing. It's just gonna take me a while. Stay tuned! jlav has released a public test version of his Privateer-themed board game: The Kilrathi Menace. 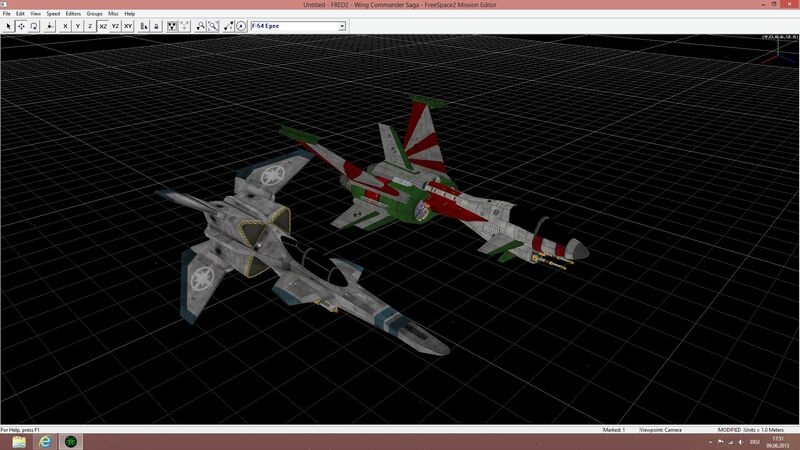 His prototype setup runs on the free Vassal Engine, which allows for online multiplayer. As the digital version continues to be refined, a printable edition should also come together over the next few months. Interested Wingnuts can try it out here. 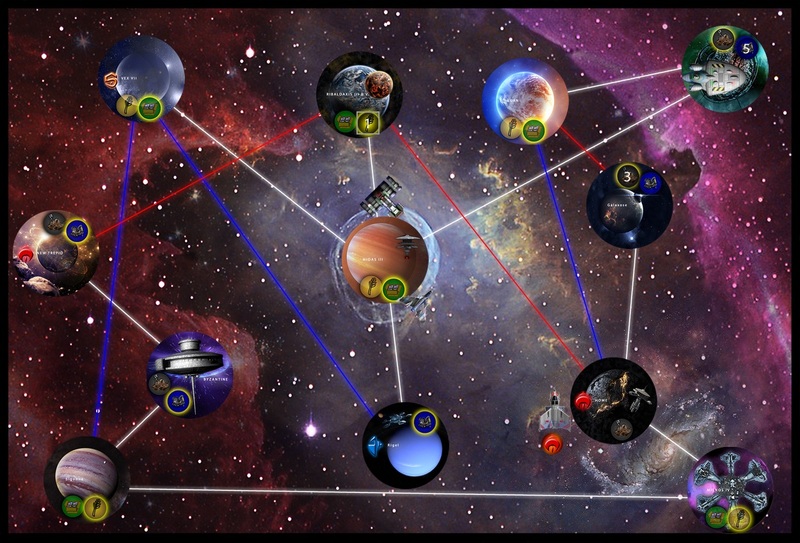 The link includes preliminary rules, the fan game modules and directions on how to integrate everything with the Vassal program. Also be sure to check out the project's FAQs and nifty video tutorials. The Module is now up, along with rules, a link to the vassal engine and a couple of tutorial videos. I will be working on some more tutorials on DUP movement and combat in the near future. I wanted to give WCnews the first look at it. This is to get more players' hands on the game, open us up to produce an illustrated manual and connect people to the ability to produce the physical game. How Warm's Your Cockpit Seat? 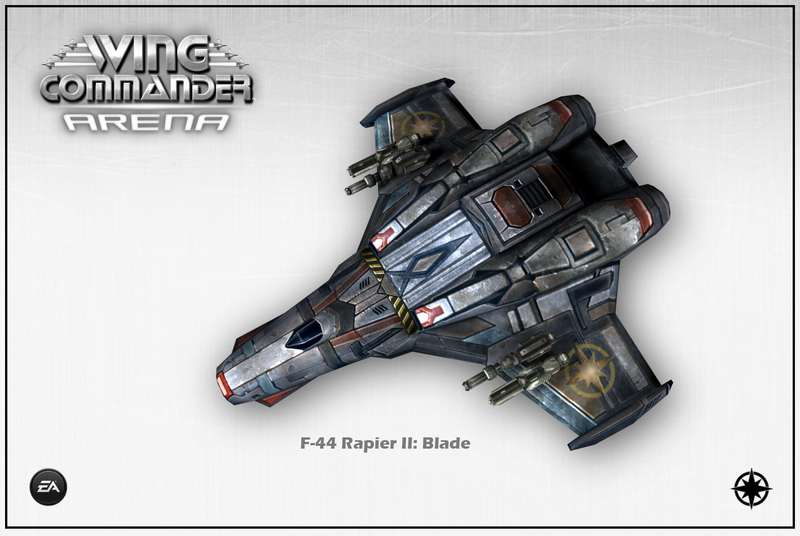 The new poll asks how long it's been since you've played a Wing Commander game. With the easy availability of the GOG releases these days, we expect the results to be better than the last time we asked this question back in 2006. 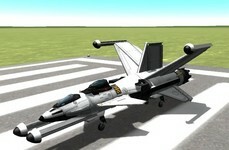 Hopefully you've been keeping your pilot skills sharp! The last poll inquired about your favorite box art from the series. 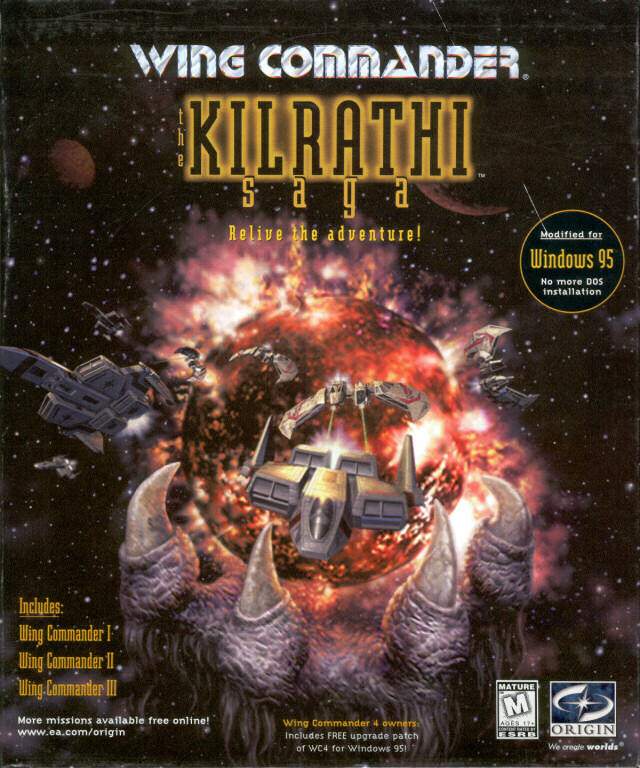 Wing Commander 3 took a commanding lead followed by The Kilrathi Saga. WC1 and WC4 also scored well. 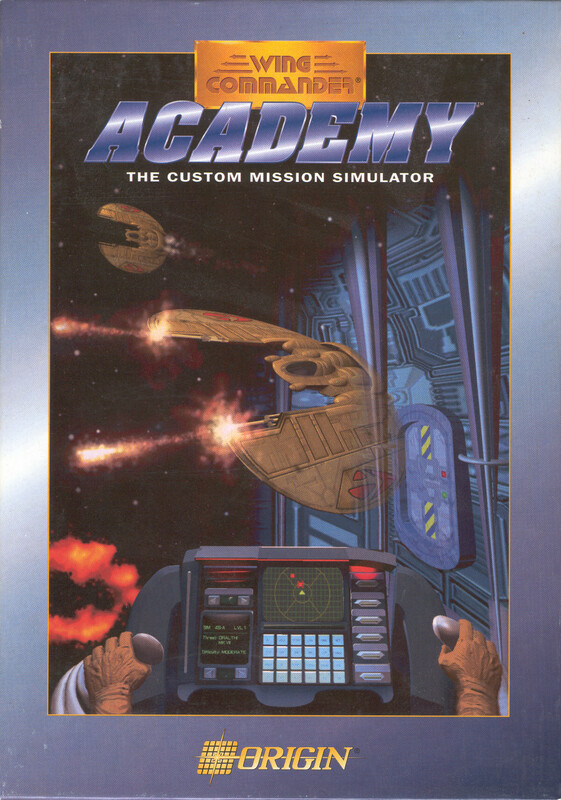 Poor Academy has perfectly serviceable cover art with some pretty slick Dralthi on it, but it came up last. 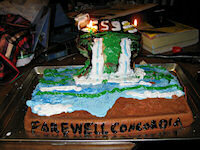 We're now just eight weeks away from the CIC's 15th Birthday! Mark your calendars now for Saturday, August 10, 2013 to attend the party. 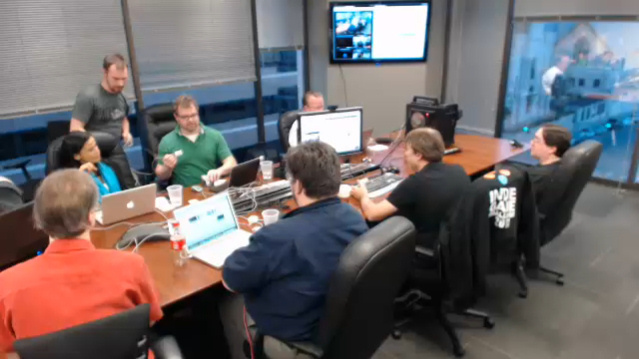 Festivities will be held in our IRC chatroom #Wingnut. Newcomers can easily join through the web interface or via a dedicated IRC client by connecting to #Wingnut on our irc.wcnews.com server. Stop by now if you're excited too or just want to say hello. As usual, we'll be holding a trivia contest, giving our prizes and posting special features at wcnews.com. Is there anything in particular you'd like to see? Because this year's event straddles a Saturday evening and Sunday morning around the globe, we're anxious to see a high turnout. Don't miss it! 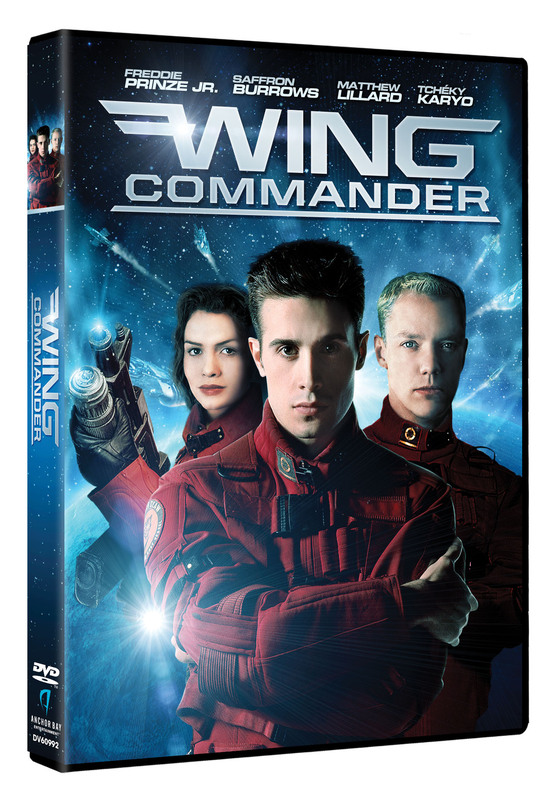 Amazon has dropped their price on the Wing Commander Blu-ray down to $12.99! This reverses the recent increase to $17.99, so order quick before it goes back up! If there is any futher reduction between now and August 6, Amazon guarantees preorders will be charged at the lowest price between order and shipment. For collectors out there, the rerelease on standard DVD has been dropped from $9.99 to $6.99 too. 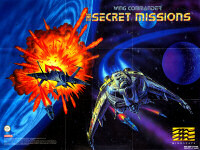 AD also dug up some even higher res box art. Here it is for both discs and at an angle. Mat Bradley-Tschirgi tipped us off about about a huge Wing Commander retrospective posted at Sequelcast. The WC series is the star of Episode 5 of their video game podcast. Both show hosts have plenty of great anecdotes, and they go over an extensive history of the series. There's clearly been a lot of research done, and this enables the commentators to talk intelligently about even the products they're not intimately familiar with. The total runtime over an hour long! Download the entire thing as an mp3 here. Mat and Thrasher discuss the Wing Commander games for the PC in this episode of the Video Game Sequelcast podcast: Wing Commander 1-4, Wing Commander: Prophecy, Wing Commander: Privateer, and much more! They also touch on the animated TV series Wing Commander: Academy and the live-action feature film Wing Commander. Overall, their info is pretty accurate, although we can help clarify a few random tidbits. WC3 & WC4's composer was George Oldziey, and he actually did the orchestral music for Prophecy as well. 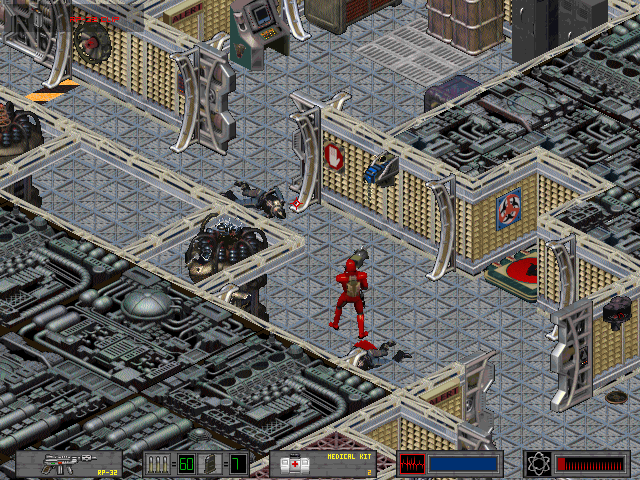 The techno music was part of Prophecy's simulator, and it wasn't until Secret Ops that the tracks made it into the regular game. WC Arena does actually have a first person mode. It's one of four view modes: top down, a top-down with a more forward looking view, a rearward view and a directly forward-looking perspective. Finally, it's a common misconception that something about Prophecy lead to the discontinuation of games. At first glance it makes sense - if WCP sold well, why wouldn't they make more? The game actually did perform well - so well that they created the 56-mission Secret Ops sequel and gave it away for free to tide fans over! 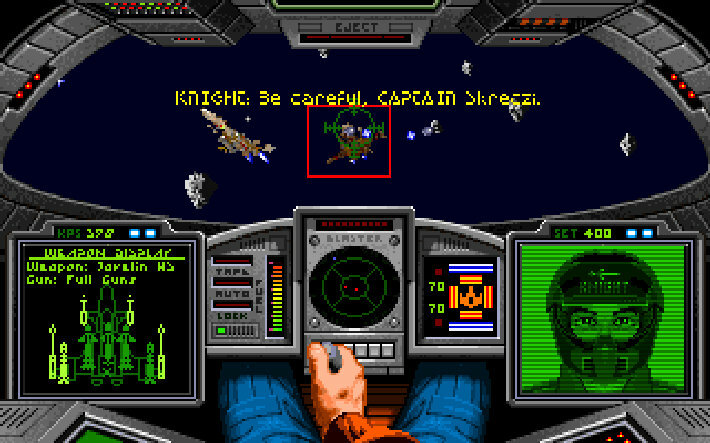 The reason that WCSO ended up being the last PC Wing Commander has to do with Origin's shift to online games. 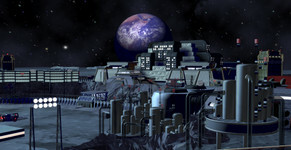 Titles like Privateer 3 and Strike Team were in development but shelved to move resources to Wing Commander and Privateer Online. MMO saturation and Westwood's Earth & Beyond ended up getting the WC online games canceled, and the rest is history... Once again though, kudos to Mat and Thrasher for doing all their research and compiling it into this lengthy presentation! 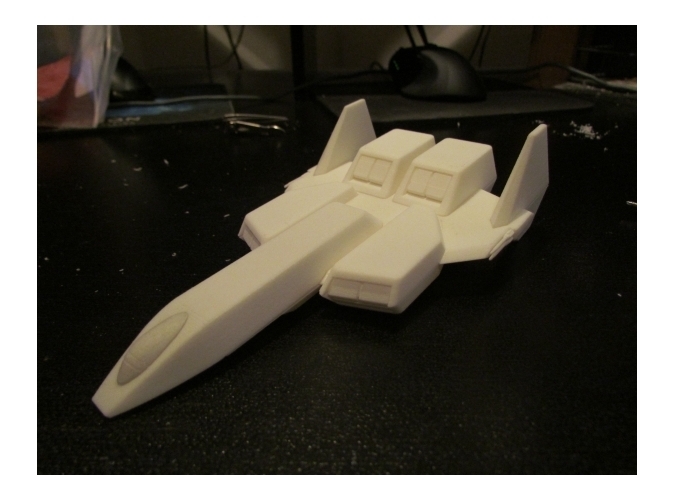 Klavs' giant Arrow model continues to impress! He's supposedly disappointed with the paint job depicted here, but we still think it looks amazing. The 1/72 scale puts this beauty at almost a foot long, and although it's pretty spiffy already, Klavs has quite a bit of fine detail work to go before it's finished. 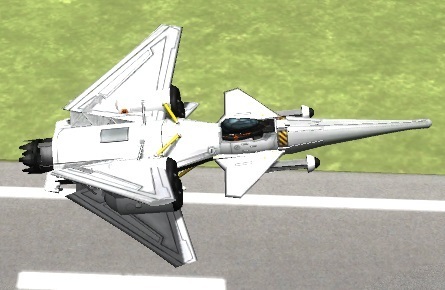 The final product will include decals and even engine/cockpit lights! Well, I'm sorry to say it's not looking great right now, the 3d printed plastic material is extremely prone to paint peeling, and now that I've photographed it in daylight I'm seeing a lot more surface imperfections. So the paint is unfortunately going to be stripped off again until I figure something else out. Really frustrated with this right now! Grr. 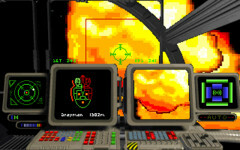 There hasn't been a whole lot of space sim news coming out of E3 this week, but after a ten-year hiatus, the LAN party favorite OpenParsec is under active development again. 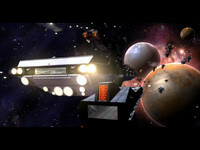 The game is sometimes described as "Quake in space," where deathmatch gameplay takes place within a single solar system. This new public release, the first since 2003, is playable on Windows, Mac and Linux. You can grab v0.20 here. Thanks to CrazySpence for pointing this out. 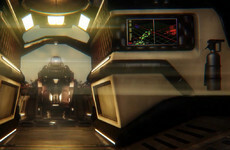 Spence also put together the gameplay video embedded below. Parsec is going to introduce you to a whole new universe. The core of Parsec will be a network of gameservers each responsible for a single galaxy comprised of several solar systems. All gameservers will be registered at the central Parsec masterserver from where you can select a specific gameserver for playing. 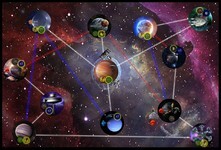 The basic unit of game play is a single solar system but you can jump from system to system as you like. There are no game sessions that have to be started explicitly. You can seamlessly join and unjoin a gameserver at any time. But beware! 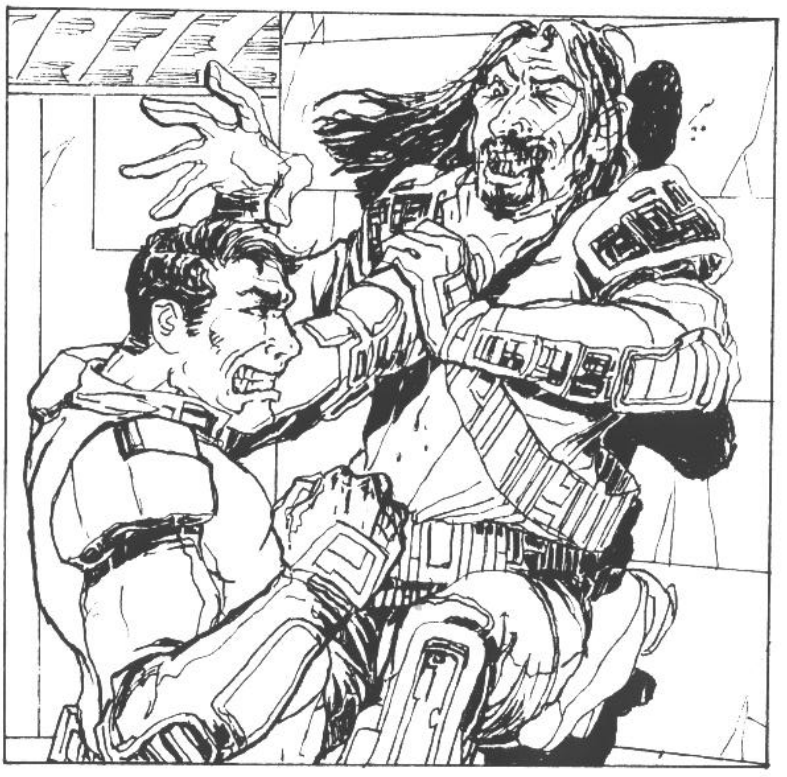 While you are peacefully exploring the universe everyone else will try to shoot you down to advance their position in the roster of all-time Parsec legends. If you want to become a legend yourself, you will have to eliminate a lot of other spacecraft and still prevail to collect the honor. Deathsnake has posted a couple new images to show that there's still progress being made in the Last Line of Defense mod. These shots show the old and new version of the Epee fighter featured in the game and its sibling project, Enigma 2666. As an extra bonus, you get to see the ship next to a pretty Ferret! After thinking about the critique from Quarto about the Epee, I was trying to give it a "old look." I took Scooby's model, changed the size the Z-axis to double, then changed all axes together down (near) to canon size. What did you think? Chris Roberts has posted a new video thanking space sim fans for contributing to his elaborate crowdfunding campaign. Their total crossed the incredible $10,000,000 mark today! All this cash has come from 183,500 fans, which makes the average contribution of $55 significantly higher than the typical $30-35 that many projects see. This milestone means that Cloud Imperium Games will be building their own motion capture studio to enhance the creation of video sequences. Check out the technology that will go into it in the vid below. Stay tuned, as big things are coming to the Roberts Space Industries website! In just over two weeks, we’ll be launching the all-new website with a 24-hour livestream full of new information about the game and other exciting reveals. 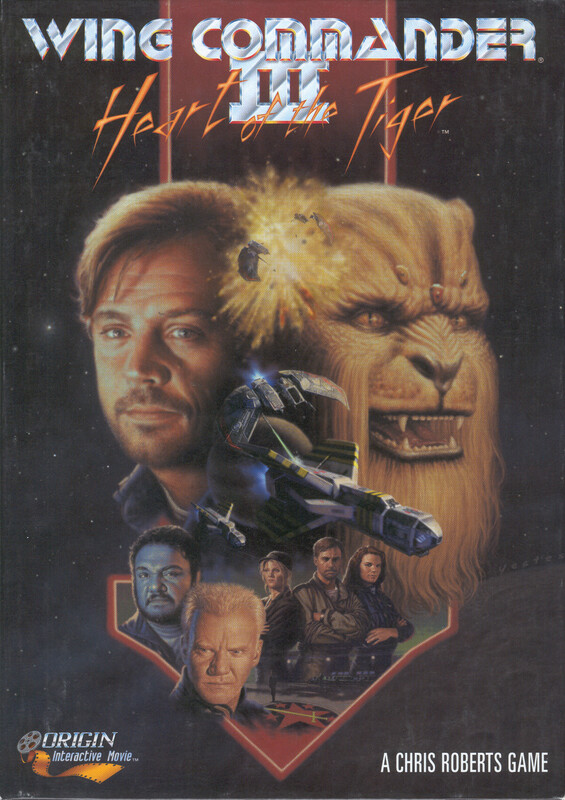 As the Blu-ray release of Wing Commander continues to approach, Walmart has posted a slightly larger and less distorted version of the movie's box art. Although their street date is still showing 8/13, the listing for the regular DVD rerelease shows 8/6, which is in sync with all other dates we've been hearing. Walmart's current preorder pricing is $16.18 compared with a $17.99 MSRP, and although Amazon originally listed the film at $12.59, the price has been fluctuating lately - first to $14.99 and then to $17.99. Such variation is common in the run up to releases like these, so your best bet is to preorder early at Amazon where you are protected by the 'pre-order price guarantee' that nets you the lowest price between the time you order and the product ships. Best Buy has also started taking preorders at $14.99, Barnes & Noble at $14.69 and Deep Discount at $14.14. It's getting closer! 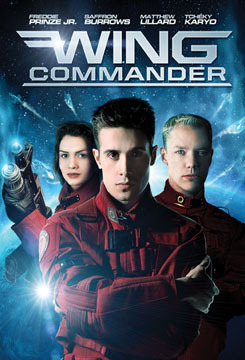 Based on a popular series of video games, Wing Commander introduces us to an elite fighter squadron in the year 2654. The Earth confederation is at war with a vicious race called the Kilrathi. The Kilrathi have captured a navigational device which will allow them to jump through worm-holes in space to arrive behind enemy lines. Only this highly trained squadron, led by three young pilots, stand in their way. Christopher "Maverick" Blair Freddie Prinze Jr. is just out of the Academy, but his lack of experience is more than compensated by his exceptional navigational skills, though he is still haunted by the deaths of his parents in a previous galactic war. His friend, Todd "Maniac" Mashall Matthew Lillard, is a brash, gung-ho fighter jock always rushing into danger. Their wing commander and leader is Jeanette "Angel" Deveraux Saffron Burrows. Assigned these two new pilots by Admiral Geoffery Tolwyn David Warner, the strong and beautiful Deveraux is at first resentful, but later develops feelings for Blair. Perhaps the two will find time for romance on their way to saving the solar system. Echo Sector, the ultimate Crusader website, has relaunched with a fresh layout and reinvigorated news page. The team at ES:TUCW has a similar mission to the CIC that involves documenting historical artifacts, compiling a database of game information and reporting on community activities. You can see what they're up at echosector.com! "The Morningstar is generally recognized as the current Confederation state-of-the-art capital ship destroyer..."
While fans are still waiting for Shapeways to deliver their new Broadswords, Ferrets and Sabres, Klavs has already taken the wraps off his next design. 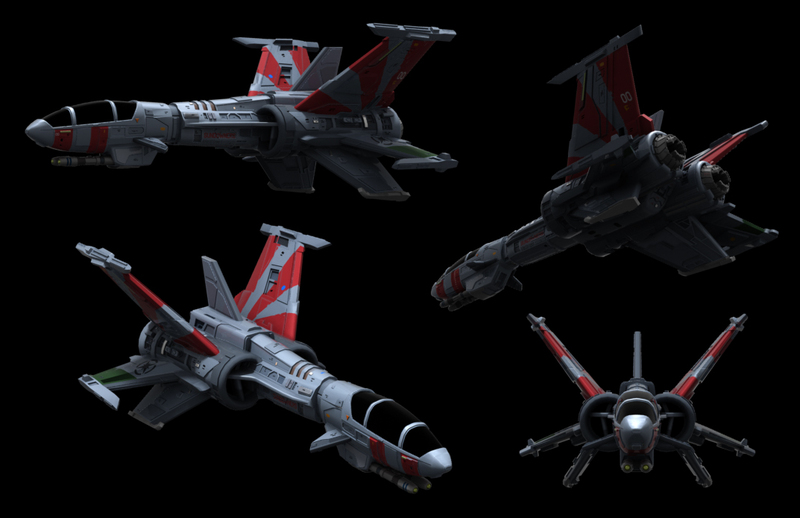 The Morningstar heavy fighter has been modeled and is now awaiting textures. Klavs even included the Mace tactical nuclear missile in addition to a host of other ordnance. The F-95 spaceframe's sleek curves and intricate details are top notch, and the accompanying excerpt from Maniac's autobiography really hits home too. Even in the harsh glare of the desert sun, the torches cast stark blue-white light as they bit into the last of the Morningstars. It hurt your eyes to look at it, even from a distance. But I don't think any of us looked away. Once the fighters were cut into manageable pieces, the ship-breakers rolled across the tarmac and went to work, effectively shredding the assemblies and reducing the blood, sweat and tears of the last three years of our lives to unrecognizable heaps of scrap. 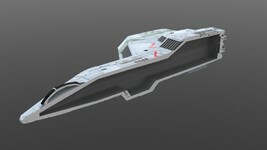 The Ki'ra observer watched impassively as the sound of rending durasteel screamed at us from across the tarmac. When it was done, he bowed ever so slightly to Colonel Anderson and strode off. His human entourage scurried along behind him, struggling to keep up. Elsewhere, the remaining seventy three operational Morningstars, along with their spare parts, tooling, test fixtures and design data were being quietly erased from existence. What the Kilrathi had failed to do by espionage and force of arms, they had accomplished through our own politicians. I stood there a long time, feeling the sweat trickle down my back as the sun went down. Bonus question: Who knows where the quote in the headline comes from? 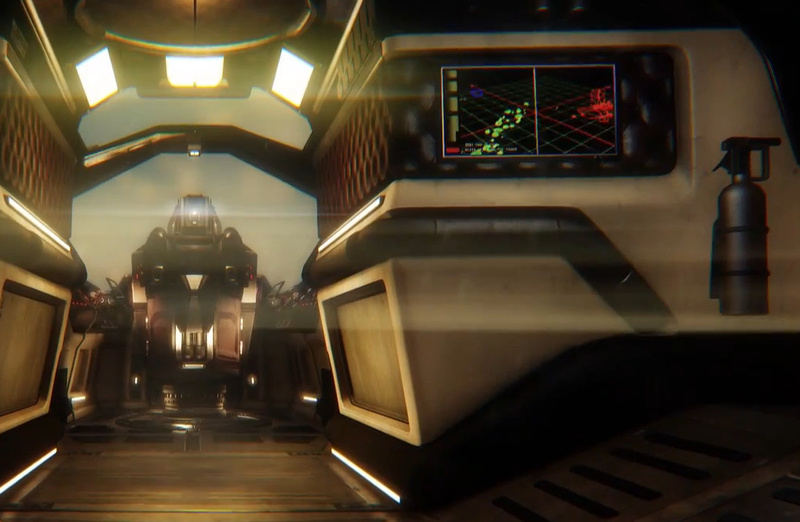 Roberts Space Industries has kicked off a new video series called RSI Museum. It chronicles the video game history that was made by the developers of Chris Roberts' new studio, Cloud Imperium Games. 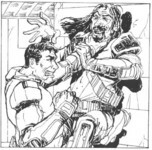 The first episode commemorates the 20th anniversary of Strike Commander with a thorough discussion between Mr. Roberts, designer Rob Irving and show host Ben Lesnick! The depth and breadth of questions is quite impressive, and everyone's passion for these classic games really shines through. 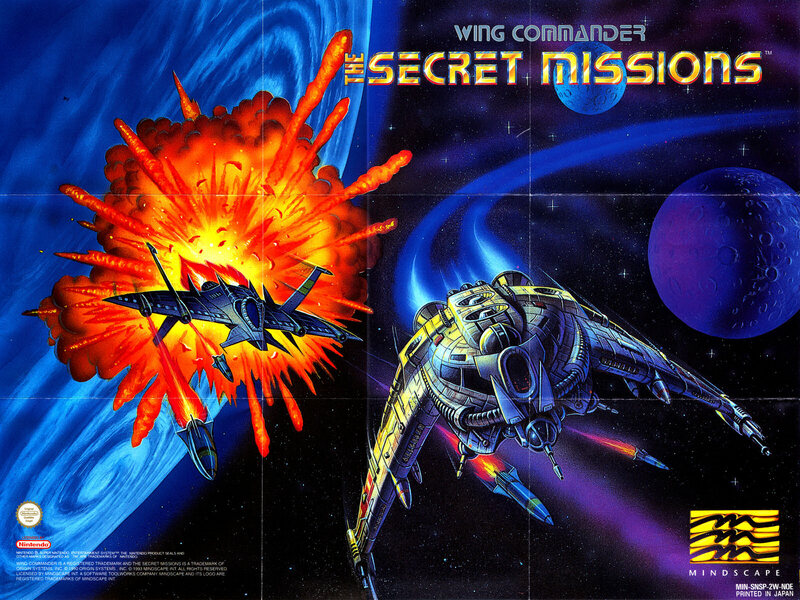 There's some great Strike Commander anecdotes in the 23-minute episode, but there's also plenty of general conversation about Wing Commander and Origin happenings in the '90s. Don't miss it! It's a super fun vid! 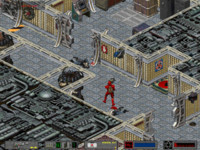 Twenty years ago, Chris Roberts pushed the limits of PC gaming with the release of Strike Commander. 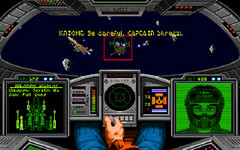 Chris’ follow-up to Wing Commander, Strike Commander featured an intense cinematic story mated with the most realistic 3D flight engine on the market. We’re celebrating Strike Commander’s birthday with the inaugural edition of a new show, RSI Museum! The goal of the museum is to look at the DNA behind Star Citizen. We’re going to talk about the history behind the games the team has worked on and look at how they have influenced what is to come. To talk about the game, we’ve brought together a pair of Strike Commander veterans Star Citizen’s Chris Roberts and Rob Irving. Ben Lesnick hosts this retrospective series looking back at the games that have built a legacy and inspired the latest installment from Chris Roberts - Star Citizen. 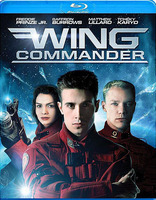 Deathsnake passed along a nifty posting of the German movies associated with Wing Commander 4. As an extra bonus, the nearly-three-hour clip has been 'reencoded' in 1080p. Of course, you can only upscale so much from standard def source footage, but the result actually doesn't look bad at all. For players who haven't seen Wing Commander in another language, it's an interesting experience to rewatch the scenes with the German dub. We also have the English DVD vobs available here, and there's even a patch to integrate them into your CD version of the game. The edition of Wing Commander 4 sold at GOG for $5.99 is also the native DVD version! 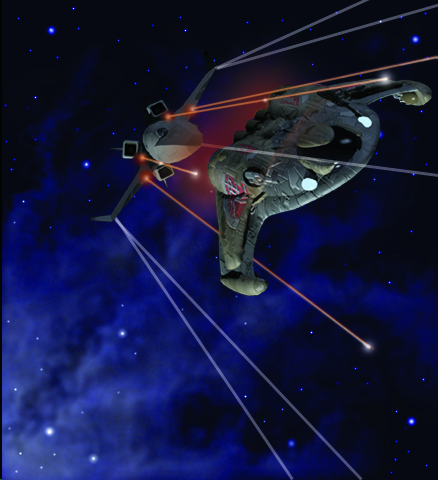 The second action-packed chapter of Wing Commander: A Defiant Few has been released! Part two of this audio adventure continues to follow the Confed response to Nephilim incursions in the Gemini Sector. 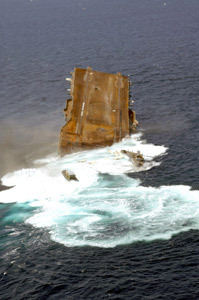 Find out how Perry Naval Base is faring after all the action to date. If you missed what's happened so far, you can listen to chapter one here. The new episode can also be downloaded as an mp3 via SoundCloud. Be sure to let Plywood Fiend and the rest of the team know what you think at the CIC Forums. I'm pleased to announce that episode 2 is now completed and uploaded. Hope you all like it. Thanks to everyone who listened to and enjoyed episode 1 and thanks as always to my increasingly large and dedicated team of voice actors. Chronocidal Guy heard about all the amazing things happened here with 3D prints and came by to talk about his excellent Excalibur kit. Most ships we see are completed works, but this project involves creating each of the component pieces and then assembling them into a slick finished model. This method makes larger fighters somewhat more affordable, and the skill involved here never ceases to impress - everyone is on top of their 'measure twice, cut once' game! Is anyone else up to the challenge? You can order your own kit at Shapeways here! A friend of mine linked me here due to a project I started fiddling with. I just decided to dig into the possibilities with Shapeways recently, and figured I'd try something easy to start with and see how the materials work. Cue me digging through old game models I had, and I found my old WC3 Excalibur I made for X-Wing Alliance (about 12 years ago now). 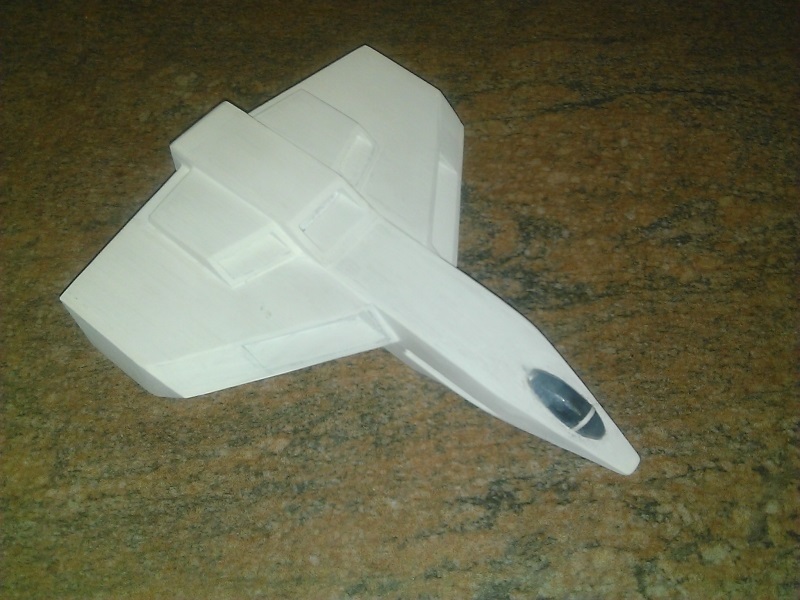 The model was actually built straight from the planform views in the WC3 documentation. They're not true plans, but they worked well enough. 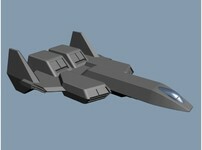 I upped the polygon count significantly for this model, but it's small enough that it might not have mattered. This one's quite a bit bigger than anything else here (going by the game spec of 32 meters, this would be about 1/180 scale), and a good deal more expensive, but I wanted to see what I could pull off. Amazingly, it came out without a hitch. 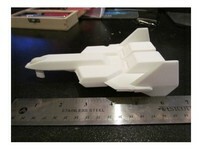 This is in their strong white flexible plastic, polished I think. 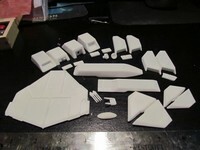 Instead of a single print object, I opted for a kit-style set of pieces so I could hollow the pieces out. I'm not sure how to set up the colors, so I didn't try that, but it might be worthwhile. I was mostly just interested in getting the actual body built, and I intend to detail it up myself. I might try cutting some details into it and printing another, but this came to about $70 after shipping, so I might wait a few months to save up, or just finish the one I have now. I've refined it a bit, and it should still be printable, so if anyone feels the need to attempt building it up, I can put it up for sale, but I do want to see how much panel lining I can put in it. As a warning though, you can get some significant stair-stepping on the tail fins, and the plastic I chose takes a massive amount of work to sand. 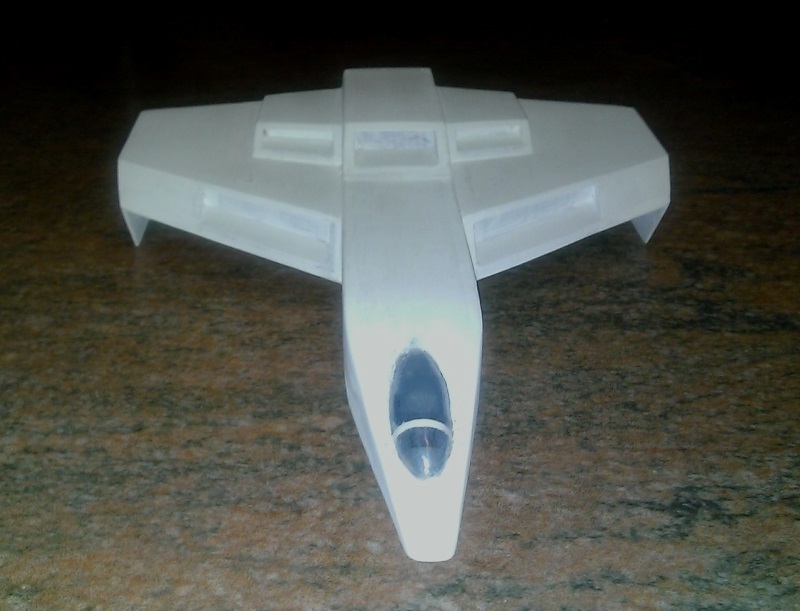 When you start talking about making bigger kits with Shapeways, it becomes much more useful to print out a single model, and then recast it like many garage kits are made. Finish is actually not terribly rough (except for a few parts that are stair-stepped), but you won't get a shiny finish on it without a lot of sanding and polishing, which is fine by me. I plan on cutting some details into the surface for a second printing later, once I figure out how much I need to cut away to make the lines visible. 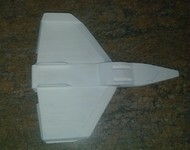 For now, this one's just a learning model so I can figure out how hard the plastic is to work with. 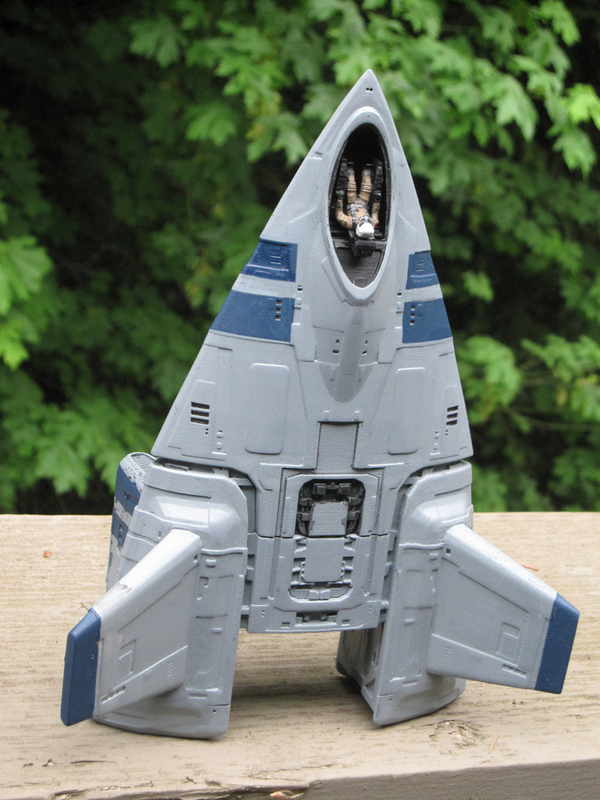 If anyone wants to take the plunge and try to build one up without any panel lines, I've got it set to available on Shapeways, listed under "Excalibolg." 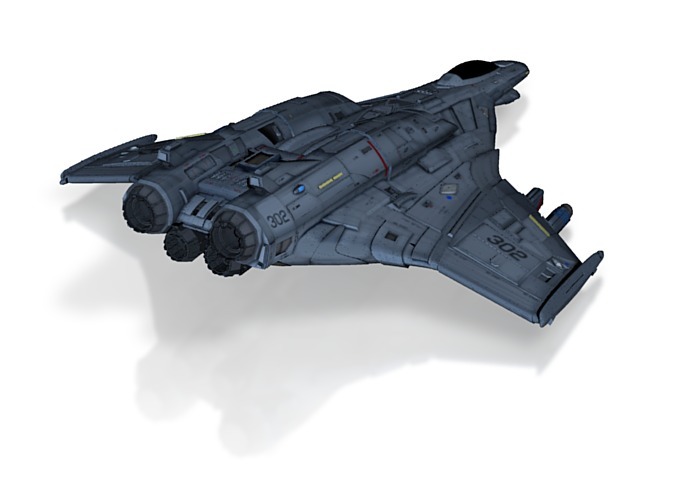 Today we've got three gorgeous new models available in the Terran Fleet Supply! 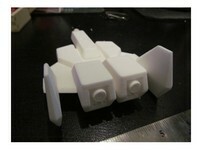 Klavs has carefully colored and designed each one to be 3D printed. They all look superb, but the Broadsword is unique due to its super massive size. A large version is available to maintain proper proportions with the rest of the lineup, while a scaled down model has also been created to provide something closer in size to most other designs. As an extra bonus, flavor text for each ship has also been written below! As an extra, extra bonus, the Dralthi IV and Gratha models have been remade slightly to lower their cost at Shapeways. Yay! constructed of paper and wood. but for combat it just ain't no good! She's heavy and fat and she's mean. moving you to Nav One! Don't give me an A-17! Ah, the Broadsword. The crate the Sabre came packed in. I kid I kid! I love this old girl. She really grew on me during the build process. Hope you guys like her. 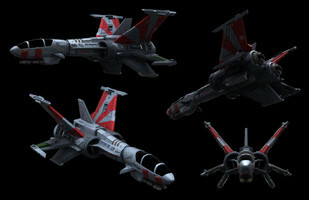 The F-54s, much reviled by their human maintainers and pilots, found new life in the feathered hands of the FDF. Re-engineered for avian biometrics through the Firekkan semi-neural interface, The 'Ten-fin' as they became known, were thus transformed from a Confed disappointment into the legendary and iconic mounts of the Firekkan Defense Force. Blair had a thing for grease monkeys. "Nice fuselage." He'd say, making everyone in earshot uncomfortable. "I was talking about the Sabre." Gives the rest of us a bad name, y'know? -Unused material from Me: The Life and Battles of Maniac Marshall. 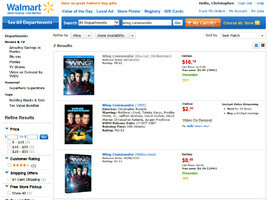 Plans to release Wing Commander on Blu-Ray were leaked by WalMart last month. Now we have the official word from publisher Anchor Bay: Wing Commander is coming! Their catalog now includes a listing for the release complete with cover art. MSRP for the BD is $17.99 and the new version of the DVD is only $9.98. Amazon now lists both titles (Blu-Ray, DVD) with an August 6th release date... a week earlier than indicated by Walmart! Lock in your pre-order today to get the HD version for just $12.59. Sorry for contacting you directly, it's me, George Sanger, the Fat Man, I wrote much of the Wing Commander music. You purchased "Wing One: Music from Wing Commander 1" through Vibedeck and PayPal, and I got your email address from the PayPal receipt. Let me know if you have any troubles from here, and THANKS for your purchase. 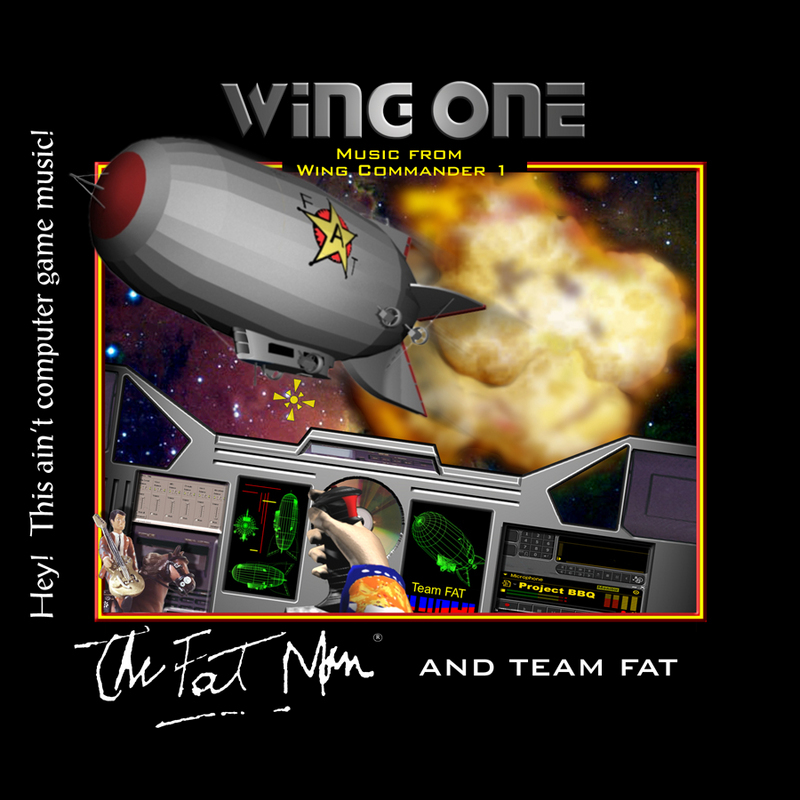 The worst news, however, is that only 23 people have purchased the Wing Commander album through Vibedeck! Wing One includes all the music from Wing Commander I played with a Roland MT-32 for just $9.98. Get your copy today!